This new school is OPEN! 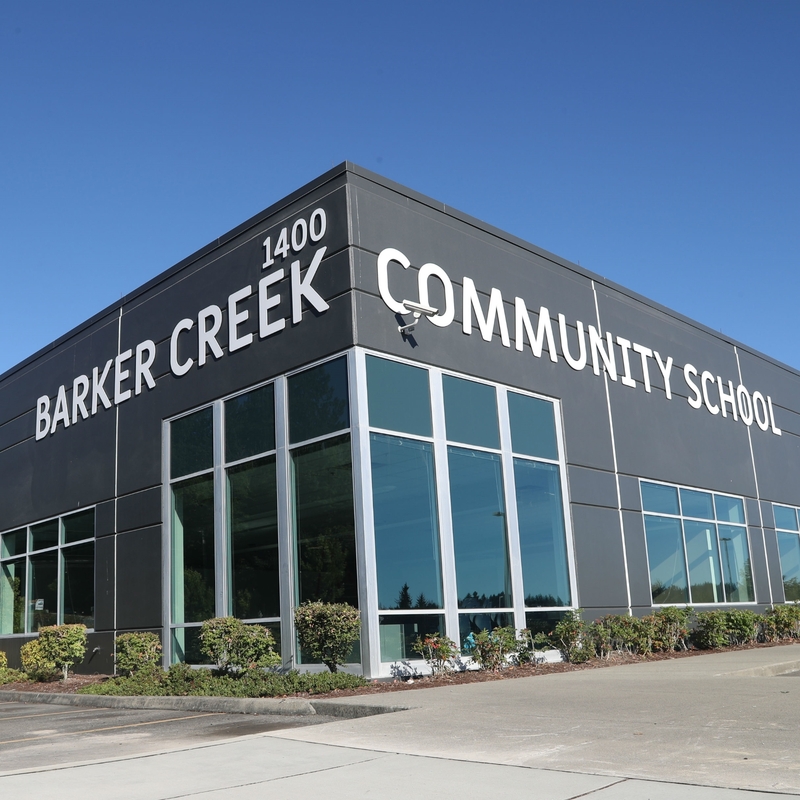 The Barker Creek Community School, opened in fall 2017 as the home of a new school of choice for Central Kitsap School District. The school was being created within an existing building at the corner of McWilliams Road and Highway 303. The school hosts several programs. Students and families can choose a K-12 parent partnership program, k-12 online academy and classroom-based instruction program for grades 9-12. Barker Creek Community School provides students with the school they deserve. On Sept. 6, students attended classes for the first time at Barker Creek Community School. Central Kitsap’s newest school will open its doors to students on Sept. 6. Central Kitsap’s newest school will be called Barker Creek Community School. Central Kitsap Schools plans to phase out alternative programs as they’re known today and replace them with a new K-12 school in East Bremerton. For questions, please email info@ckschools.org.